A little over a year ago, I was slurping drinks in a bar in SoHo when a stranger sat next to me. About three minutes later, I texted Rachel and Meghan saying, ‘I think I’m in love’ – and that was that. Now 12 months on, I decided to make Ryan a gift to mark a year since our first date. I love giving gifts, but it’s always better to give one you’ve made, dontcha think? There are loads of options for this sort of thing in New York. 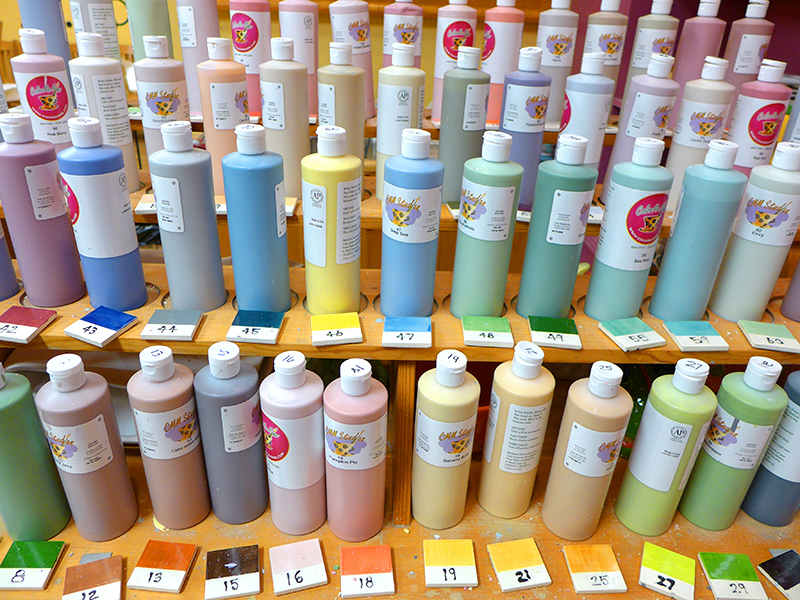 You can make soap, solder one-of-a-kind jewelry, handcraft mugs, or bake some delicious cupcakes… among many, many other things. 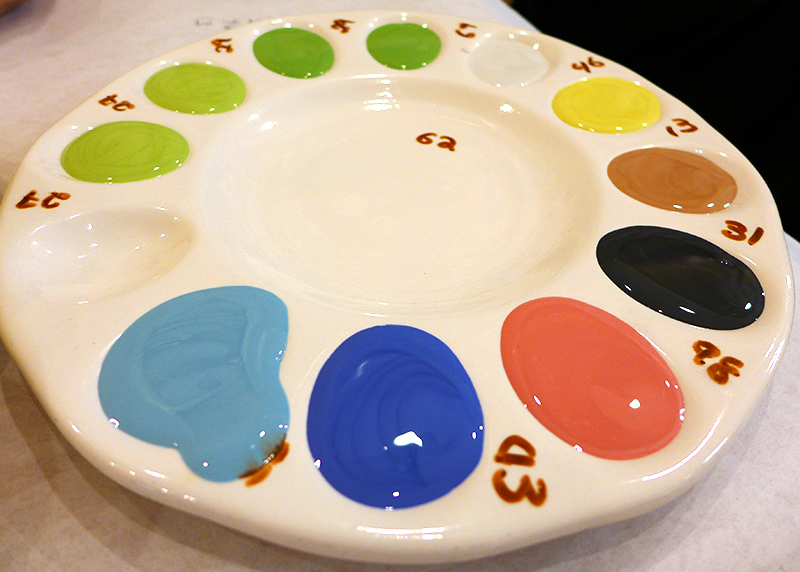 I decided to head to one of the most therapeutic activities ever – painting pottery. 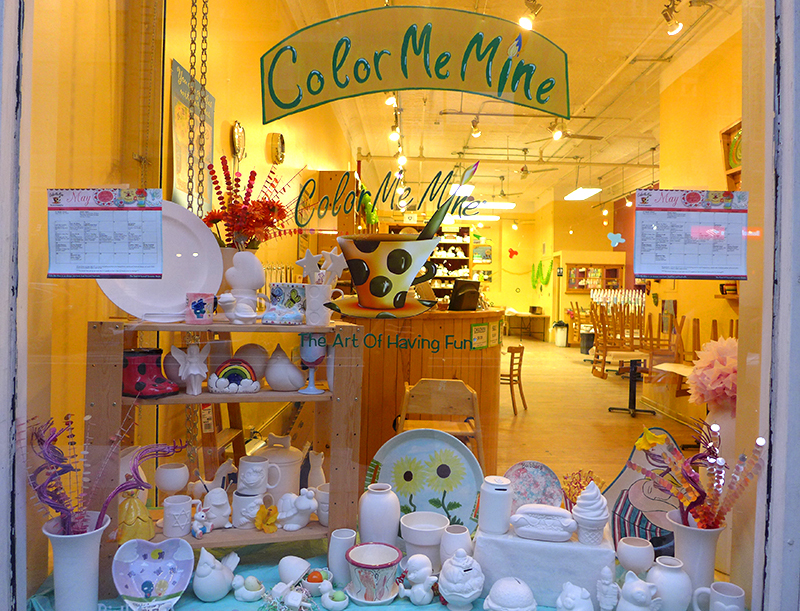 I grabbed Meghan and we headed to Color Me Mine, a space where you can paint plates, mugs, figurines or signs in Tribeca. A staff member fetched our desired colors and we got painting. 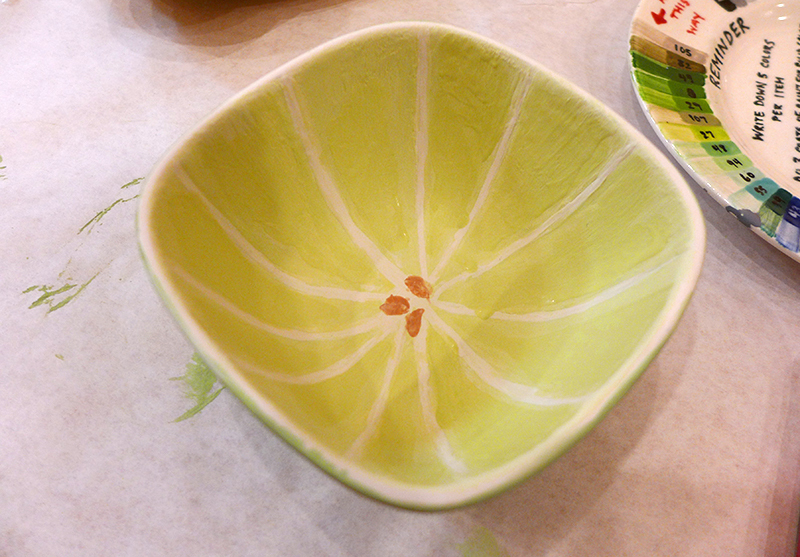 I played on my Britishness, while Meghan painted a lime bowl for Father’s Day. 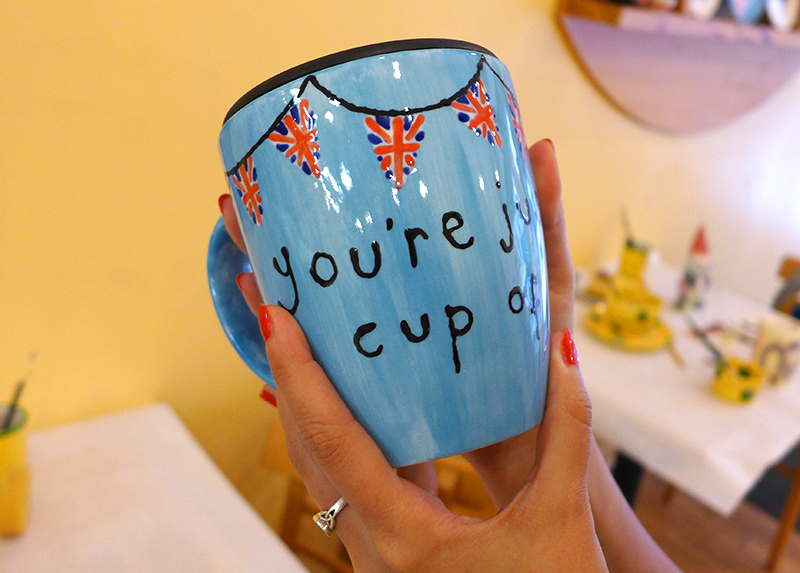 A personalized gift and fun for us, too. 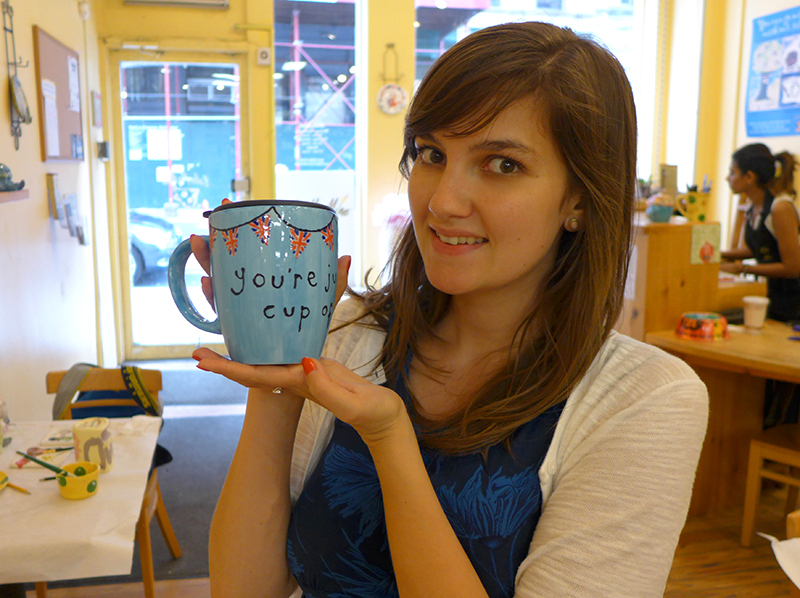 New York has tons of these pottery places… and they give you a great chance to have a chinwag. Even better, on a Thursday night, Color Me Mine holds ‘Ladies Night‘ for women to bring along bottles of wine to neck while they’re painting. 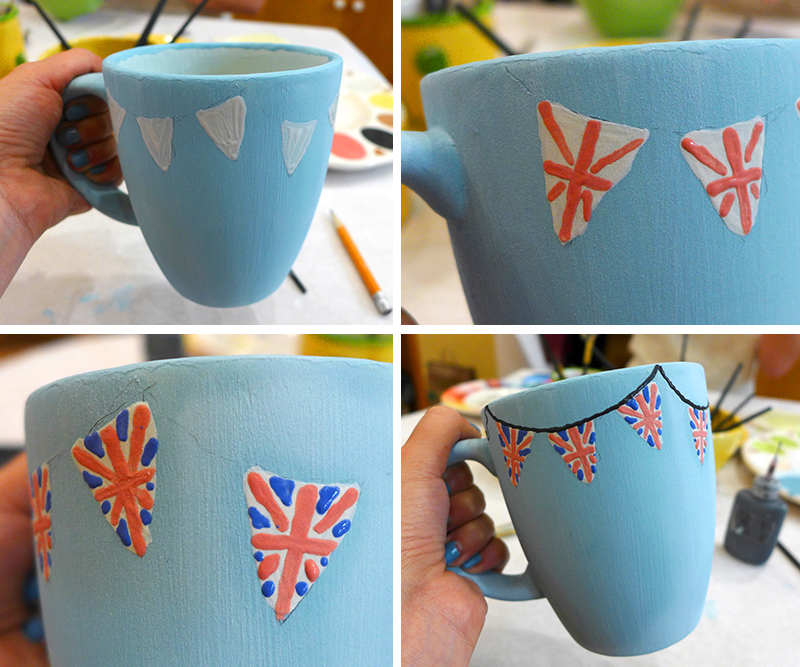 I love the idea… although I’m not sure my flags would have come out quite so well if wine was involved. If you want to make a gift, it takes a bit of planning because you have to wait for about five days before you can collect your masterpieces (they have to pop them in the kiln for firing). But when you do pick them up, they’re glossy and vibrant. Ah noo… but we recently got our British fix with some Twiglets — he’s hooked.